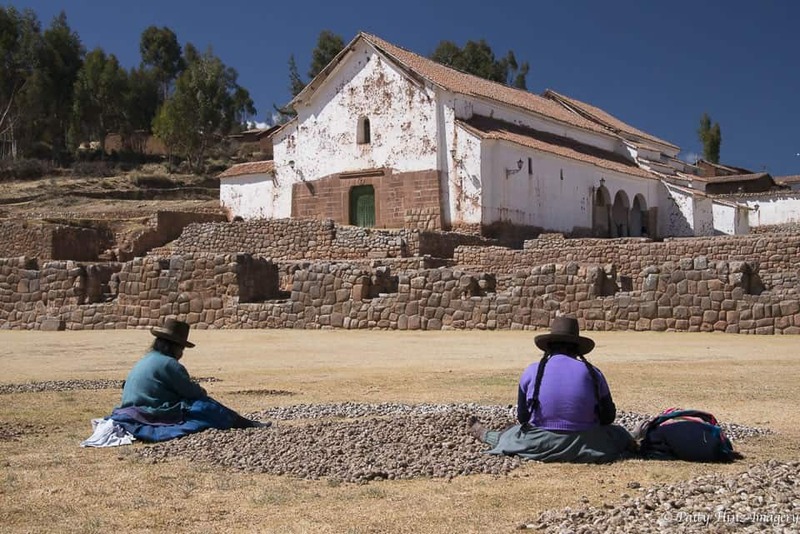 This Sacred Vally Trek includes a visit to the market and ruins of Chinchero and a gentle walk down through farmland to the famous Sacred Valley of the Incas. This is an excellent acclimatization hike because you visit Chinchero village before embarking on a gently descending Sacred Valley trek. The scenery is picturesque and attractive. 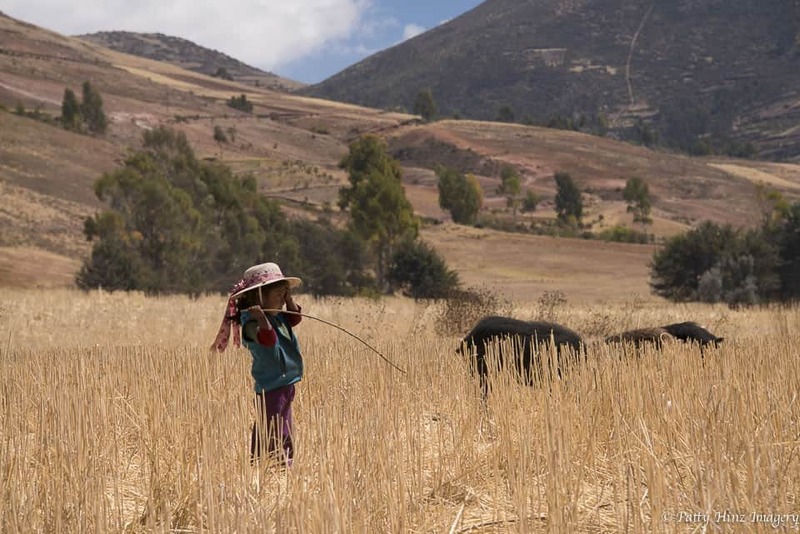 Our Descending the Sacred Valley trek gives you the chance to walk through typical farms (chacras) operating in the valley and catch a glimpse into the lives of the people living there. As far as Sacred Valley Treks go, this is a nice introduction with beautiful scenery, interesting cultural experiences and a gentle downhill hike. The times cited in this Sacred Valley trek itinerary are approximate. Walking times depend on the group. 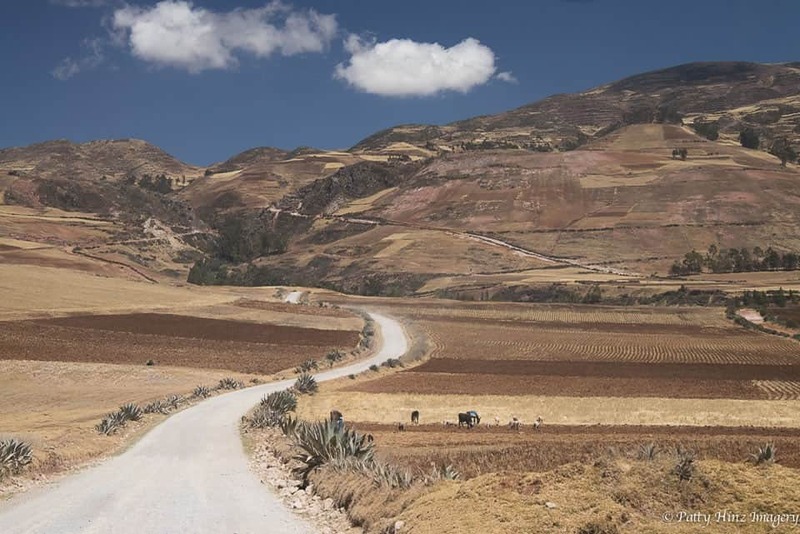 Our Sacred Valley Trek begins as we travel from Cusco by private transport for about 45 minutes to the quaint mountain town of Chinchero (population 900; 3800m / 12,467 ft). 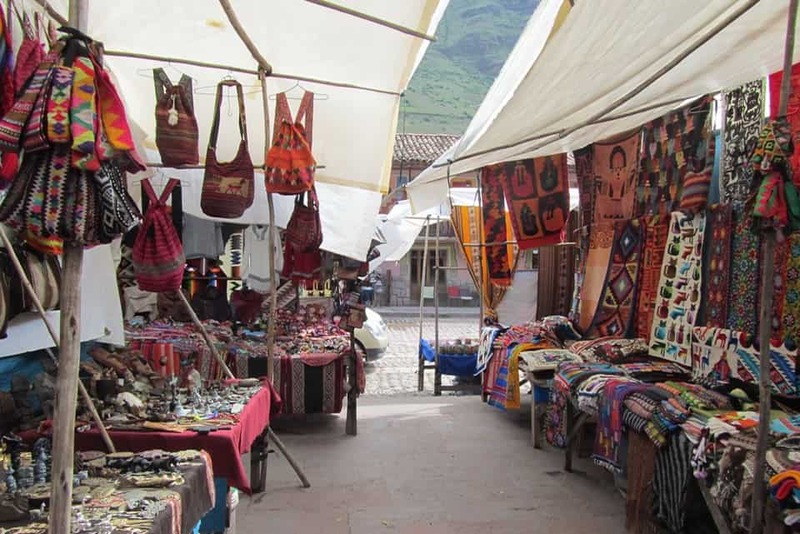 Chinchero is often visited for its colorful market days and colonial church. Market day is Sunday and still quite an authentic experience. Other days vendors still set up stalls for tourists who visit every day. 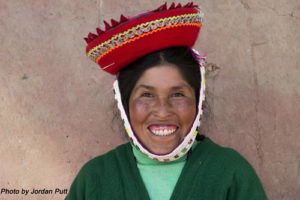 On arriving in Chinchero, we will visit the Historic Precinct (a Colonial church built atop Inca Foundations) before continuing on to visit an awana wasi (weaving house) where the Chinchero weavers will do a small demonstration about their weaving techniques. After these visits, we will delve deeper by leaving the well-constructed Inca plaza and discovering the extensive terraced ruins of Chinchero. From here we descend by the Inka Ñan, (the network of Inca roads that linked their ancient towns) through a spectacular valley with views of the snow-capped peaks that were worshiped by the Incas. After lunch (box lunch) by a mountain stream, we have a rare glimpse into traditional life in the Sacred Valley. We pass through farmland once cultivated by the Incas who left magnificent terraces still in full production today. Hiking from Chinchero to Urquillos takes about 3 hours. Before crossing the Urubamba River we will be picked up in our private transport and taken to Pisaq, where we will visit the Pisaq ruins. If we have enough time, before returning to Cusco we will make a brief stop at the market.